St Vincent's Orphanage and School was set up on 4 Holly Place in Hampstead, London in the late 19th century by Canon Purcell of the local RC church. In 1884, the St Joseph Missionary Sisters of the Sacred Heart were brought in to help run the orphanage. As a Catholic orphanage and school, the children would have received all their instruction and care from Catholic nuns. With a school and church on site, the children would have had little cause to leave the site during the normal course of events. Being on Holly Place, the Orphanage was very close to the Hampstead Orphanage (known as Kendall's Hall) on New End. In modern terms it is just over the A502. 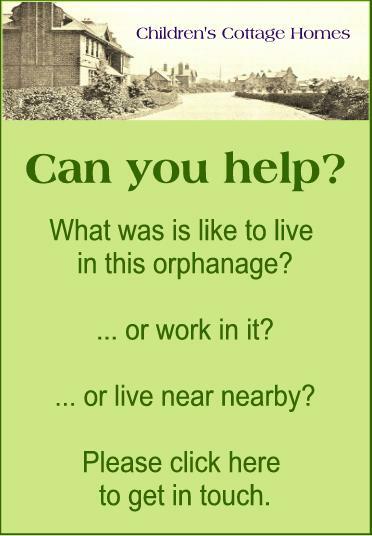 With no cottage homes in the vicinity, it appears that children from the orphanage were at times brought up in the orphanage rather than the workhouse itself. It became common practice to take chilren out of the workhouse in favour of other institutions towards the end of the nineteenth century as it as thought that children would have a better start in life if away from the influences of the workhouse. In the main, it may have been largely Catholic children who were taken into St Vincent's Orphanage. 4 Holly Place remains the location of St Mary's church. The sisters at St. Vincent's eventually went on to form the Franciscan Missionary Sisters of Littlehampton. An episode of the BBC's Who Do You Think You Are? (WDYTYA) on 15th August 2012 revealed the tragic tale of Anthony Garraud (an ancestor of Samantha Womack) who was in the orphanage as his father had died and his mother was abroad. When he was 6, in 1899, his nightshirt caught fire on the gas stove which was heating the room. He was removed to the infirmary at the workhouse where he died from the burns he had sustained. St Vincent is not an unusual name for Catholic orphanages. St Vincent de Paul, who was known for his work with the poor. He became the patron of the Brothers of Charity, the Sisters of Charity and, of course, the St Vincent de Paul Society all of which worked to support children in need. See our page on the St Vincent de Paul orphanages.